Wow! Check it out! 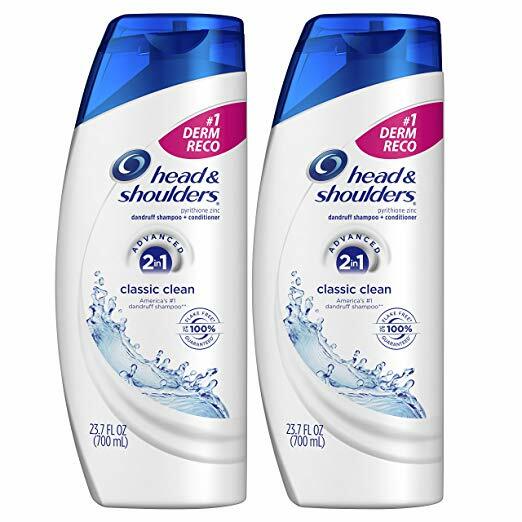 Right now you can get this Head and Shoulders Classic Clean Dandruff Shampoo 23.7 ounces Pack of 2 for an amazing price when you choose Subscribe & Save plus clip the $1 off coupon AND use the coupon code 40MARKDOWNHC to save an extra 40% off! Many Add-on items are eligible for the Subscribe and Save program. If you choose the Subscribe and Save option for these items, the $25 threshold does not apply. If you choose the one-time purchase option for these items, the $25 threshold applies.